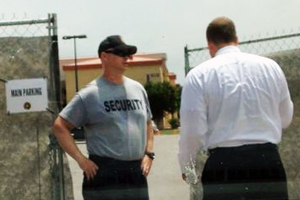 Rep. Bridenstine shown as he was refused entry at Ft. Still. Photo provided. Chris Casteel, for the Oklahoman from Washington, reports Sen. Tom Coburn told an Obama administration official Wednesday that it was illegal to bar U.S. Rep. James Bridenstine from the Fort Sill facility housing some of the unaccompanied minors who recently crossed the southern border into the United States. 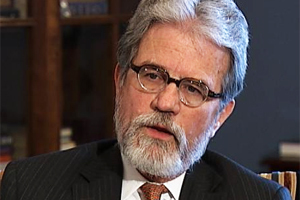 “I will just tell you I think you made a grievous error in denying Congressman Bridenstine access to that facility,” Coburn, R-Muskogee, told Mark Greenberg, an acting assistant secretary with the Department of Health and Human Services, at a Senate hearing. Bridenstine, R-Tulsa, was turned away last week from the Fort Sill facility, which is currently caring for more than 1,000 minors called “unaccompanied alien children” by the U.S. government. The Health and Human Services Department is in charge of the facility at Fort Sill, a U.S. Army post in Lawton, Oklahoma. Click here for more from the Oklahoman. This entry was posted in National on July 10, 2014 by admin.